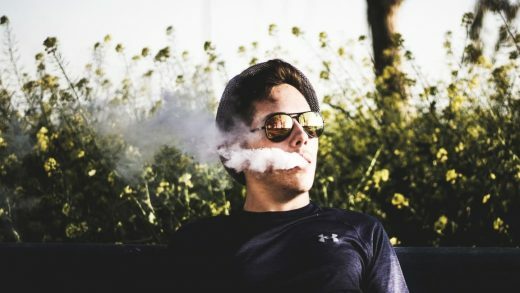 Some employees at Juul are said to be vaping mad over a report that one of the world’s largest tobacco companies could take a piece of the controversial e-cig startup. According to the Wall Street Journal, Altria Group–parent company of Marlboro cigarettes–is in talks with Juul to take a significant minority stake in a deal that could value the startup at around $30 billion. The reported talks come at a time when Juul is facing backlash over teen vaping, a federal restriction on retail sales of flavored e-cigs, and the threat of additional regulations on menthol cigarettes. Altria, meanwhile, is up against a shrinking U.S. market overall for conventional cigarettes, a problem exacerbated in no small part by vaping. So perhaps these two companies can offer something to each other, or so the thinking presumably goes. However, some people who work at Juul apparently don’t see it that way. Axios says it obtained Slack messages from employees who see the company’s mission–it was founded as a product to reduce conventional smoking–as diametrically opposed to that of Altria’s. “Deal with the devil” is how one employee reportedly put it. Of course, Slack is a common place these days for employees to hash out disagreements and internal disputes, so it’s hard to say if the complaints are just a bit of workplace grumbling or if they signal the makings of a bona fide backlash. I reached out to Juul for comment and will update if I hear back. Looking for more details on how Juul became the most embattled startup of the year? Our Ainsley Harris wrote about the company for Fast Company’s latest issue. Find it here.